What Estate Plan Best Fits Your Needs? Start Your Estate Plan Today! Estate Planning is the process of planning for the inevitable. It guides what happens when you are unable to act for yourself due to death or disability. Epiphany Law can help you best preserve your assets, protect your loved ones and achieve success in your estate plan. Our estate planning team will determine the plan that best fits your needs. We handle everything from wills, to revocable trusts, asset protection planning, probate, nursing home planning and much more. 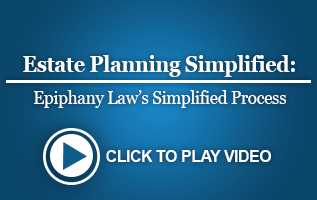 Epiphany Law makes the process of planning your estate straight-forward and uncomplicated. We use a combination of processes, people, technology and systems to deliver a superior product at below market value. The Estate Planning process begins with sharing information. Educational videos can found on our website. These videos will explain the basics and help you think about the issues that we will be discussing. You then will complete the online secured questionnaire that gives us an idea of the nature of your estate and the loved ones or charities that are important to you in your planning. After submitting the questionnaire, you & and an Epiphany Law Estate Planning attorney will meet to tailor our services to your specific situation. During the discussion, we will get a better understanding of your goals and concerns. 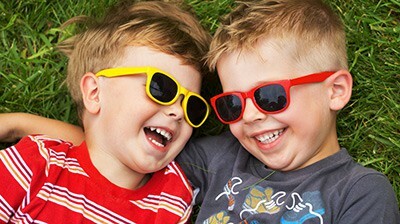 At the same time, we will explain the estate options that you have. With your goals and concerns in mind, we will prepare a plan that is tailored to you. Once the plan is created, our team will send the plan to you for review and will schedule a signing meeting. You may contact us any time with questions that you have. Prior to signing your documents, we will review every document with you to make certain that they meet your approval. Once you agree to them, you will sign them. If your plan includes a living trust, we will give you and your financial advisors detailed instructions for titling assets in your trust. Click or tap the “Start Your Estate Plan Today!” button to complete a simple questionnaire. After submitted, an Epiphany law attorney will review and discuss it with you. After the discussion, Epiphany Law provide you with a recommendation, quote and timeline. Don’t feel like filling out an online form? No problem. Call us at (920) 996-0000 to schedule a free consultation to review your estate planning needs. Epiphany Law originally started as a "Business Law Boutique" and business law continues to be the heart and soul of our practice. However, since we opened our doors we have significantly grown two other areas of deep expertise: litigation and estate planning.